Scharner, 33, returned to Wigan for a second spell in January on loan from German outfit Hamburg and was part of the side that claimed an historic 1-0 win over much-fancied Manchester City at Wembley in May. 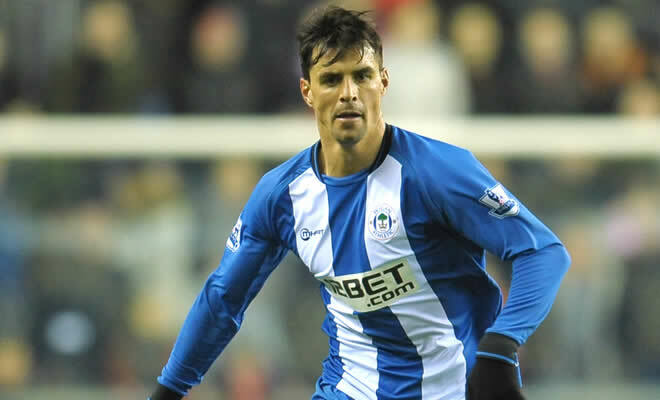 The Austrian originally joined Wigan in January 2006 from Norwegian outfit Brann and quickly Became a favorite amongst the fans for his impressive performances, as well as an array of hairstyles - once saying, "I do not have scandals and I do not fight in bars, so I Decided the simplest way to get some attention was colored hair. " After 145 appearances for the Latics, Scharner moved on to West Brom where he made ​​62 appearances for the Baggies in two years at the Hawthorns. The 40-time capped Austria international made ​​just four appearances for Hamburg during a year in Germany after joining from West Brom in 2012 - The former Austria Vienna man had been linked with a move back to England with former Wigan boss Steve Bruce while Wolfsburg were also credited with an interest. However, Scharner has come to the decision to bring an end to a 14-year career following his release by Hamburg this summer. He told Austrian broadcaster ORF he wanted "to end my career to show respect to myself and my family ... the last couple of months have been pretty turbulent."